At the recent Space Foundation conference held in Colorado Springs, NASA revealed its new plan for human space exploration, superseding the absurd Asteroid Retrieval Mission (ARM) championed by the Obama administration. Amazingly, the space agency has managed to come up with an even dumber idea. In the early months of the Trump administration, some lunar advocates spread the rumor that the new president would seek a return to the Moon within his first four years, thereby dramatically making America great again in space. That is not the plan. Nor is the plan to send humans to Mars within eight years, something that I think we could achieve. Nor is it to send human missions to explore near-Earth asteroids, as then President Obama suggested in 2010, nor is it even to send humans to a piece of an asteroid brought back from deep space to lunar orbit for study, as called for in the ARM. 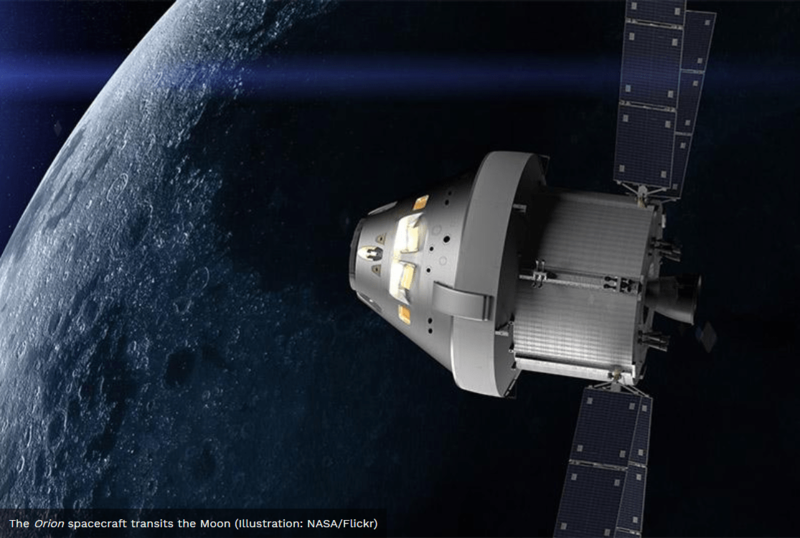 No, instead NASA is proposing to build a space station in lunar orbit. This proposal is notable for requiring a large budget to create an object with no utility whatsoever. If the goal is to build a Moon base, it should be built on the surface of the Moon. That is where the science is, that is where the shielding material is, and that is where the resources to make propellant and other useful things are to be found. The best place to build it would be at one of the poles, because there are spots at both of the Moon’s poles where sunlight is accessible all the time, as well as permanently shadowed craters where water ice has accumulated. Such ice could be electrolyzed to make hydrogen-oxygen rocket propellant, to fuel both Earth-return vehicles as well as ballistic hoppers that would provide the base’s crew with exploratory access to most of the rest of the Moon. Other places on the Moon might also work as the base’s location, because while there is no water in nonpolar latitudes, there is iron oxide. This can be reduced to produce iron and oxygen, with the latter composing 75 percent or more of the most advantageous propellant combinations. In contrast, there is nothing at all in lunar orbit: nothing to use, nothing to explore, nothing to do. It is true that one could teleoperate rovers on the lunar surface from orbit, but the argument that it is worth the expense of such a station in order to eliminate the two-second time delay involved in directly controlling them from Earth is patently absurd. We are on the verge of having self-driving cars on Earth, for crying out loud, that can handle conditions in New York City and Los Angeles. There’s a lot less traffic on the Moon. Explaining his winning strategy for war with Austria, Napoleon Bonaparte once said, “If you want to take Vienna, take Vienna.” Well, if you want to go to the Moon, you should go to the Moon. You don’t go 99 percent of the way there and then hang out in orbit where you can do nothing. So, the question is: If we could put a man on the Moon, why can’t we put a man on the Moon? Here’s the answer: During the Apollo program, the NASA’s mission-driven human spaceflight program spent money in order to do great things. Now, lacking a mission, it just does things in order to spend a great deal of money. The problem is lack of leadership. From a technical point of view, we are much closer today to sending humans to Mars than we were to sending men to the Moon in 1961, and we were there eight years later. Moreover, we clearly have the technology required to send humans back to the Moon, because we had it half a century ago. So a program of returning to the Moon in four years and reaching Mars in eight is clearly technically feasible. It is also financially feasible. NASA’s budget in the 1960s was a larger share of the federal total, but that was because the rest of the budget was much smaller than it is now. In inflation-adjusted terms, the average NASA budget over the 1961–1973 period was about $21 billion in today’s money, only about 10 percent more than the $19 billion the agency will receive in FY 2018. So the funds are there. What is lacking is intelligent direction. NASA didn’t get to the Moon by fishing around for things it could do with stuff created by a random set of constituency-supported programs. It got there by a strong presidential directive to accomplish a mission of importance within a specified period of time. From the mission came the plan. From the plan, came the vehicle designs. From the vehicle designs came the technology-development programs. That’s how it worked, not the reverse. We didn’t go to the Moon in order to have something to do with our Lunar Excursion Modules. We developed the LEM in order to go to the Moon. The American human-spaceflight program is in very bad shape right now. It is operating without a coherent and rational goal, and unless we embrace such a goal and set forth an intelligent plan to achieve it, the drift and waste will only continue until the taxpayers, losing patience, put it out of its misery. If the current administration wants to make America great again in space, it is going to have to step up to the plate and offer real leadership. — Robert Zubrin is the president of Pioneer Energy and the Mars Society and the author of The Case for Mars: The Plan to Settle the Red Planet and Why We Must. The paperback version of his book, Merchants of Despair: Radical Environmentalists, Criminal Pseudoscientists, and the Fatal Cult of Antihumanism was recently published by Encounter Books.